I'm tickled that so many of you liked the green Heritage Collection Ball jars. I think they're so pretty, and I especially like mixing them with last year's blue jars. 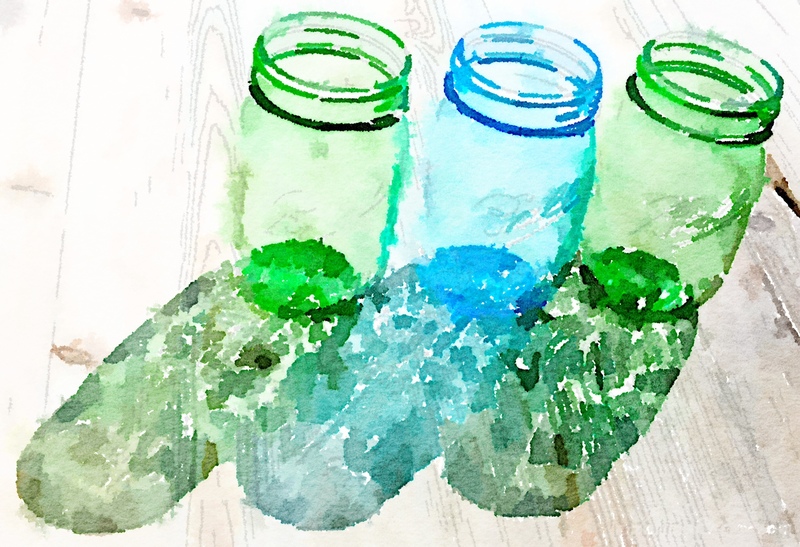 I created a Waterlogue of the jars sparkling in the sunlight, and many of you asked about that artwork. Click here to download a printable of this Waterlogue (free for personal use only). The lucky winner of the case of jars is Entry #181, Mindy Whipple! Congratulations, Mindy! Gorgeous artwork Richella and my favorite colors. Thanks for sharing the free printable.